Over the past few years, I've been lucky enough to be able to attend Dev Events from Samsung, Nokia, Microsoft, Google and Twitter. Today in London, I achieved my goal of attending an Apple event! 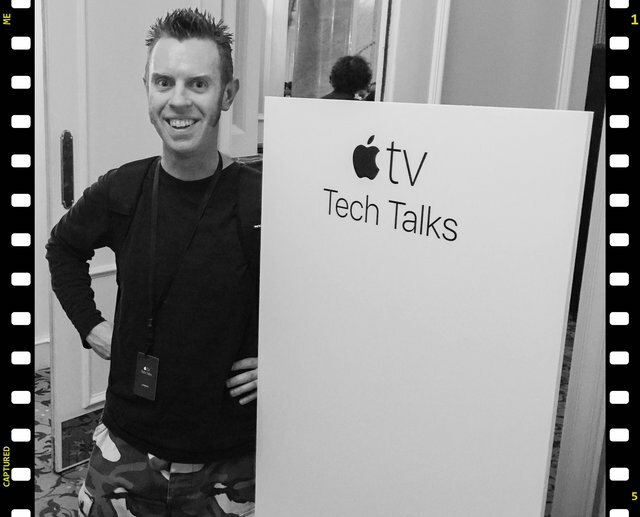 I've spent the day at The Landmark Hotel, on Marylebone Road, learning and networking at the Apple TV Tech Talks. By special invitation, I feel privileged to have been amongst an elite set of programming professionals, here to learn about the new Apple TV platform, and the new underlying operating system, tvOS. I have learnt all about the various development opportunities tvOS provides, to compliment other Apple platforms, iOS, watchOS OS X.
TV Apps, Games, TVML Markup, Live HTTP Streaming of Video Content, programming the new Siri Remote and Game Controllers, and how to make the most of my apps in the new TV App Store. A vast amount of learning has taken place, topped of with a glass of wine, or two, at the reception hosted by the Cupertino based technology company. I am passionate about my work, in both software that I write professionally, and personally. This year I hope to develop not only for Apple TV, but for Apple Watch too.. taking my Apple Platform apps beyond the iPhone and the iPad.